Red Shoes And A Necklace Of Pearls On A Claret Background. Sale Of Expensive Female Valuables. Bright Beautiful Vector Illustration. Lizenzfrei Nutzbare Vektorgrafiken, Clip Arts, Illustrationen. Image 93045417. Standard-Bild - Red shoes and a necklace of pearls on a claret background. 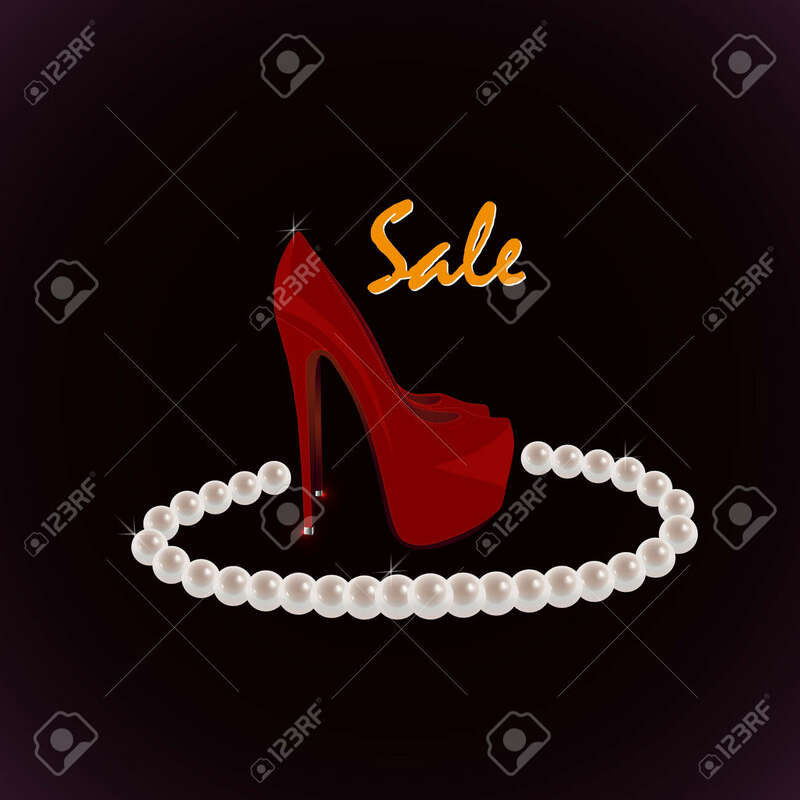 Sale of expensive female valuables. Bright beautiful vector illustration. Red shoes and a necklace of pearls on a claret background. Sale of expensive female valuables. Bright beautiful vector illustration.